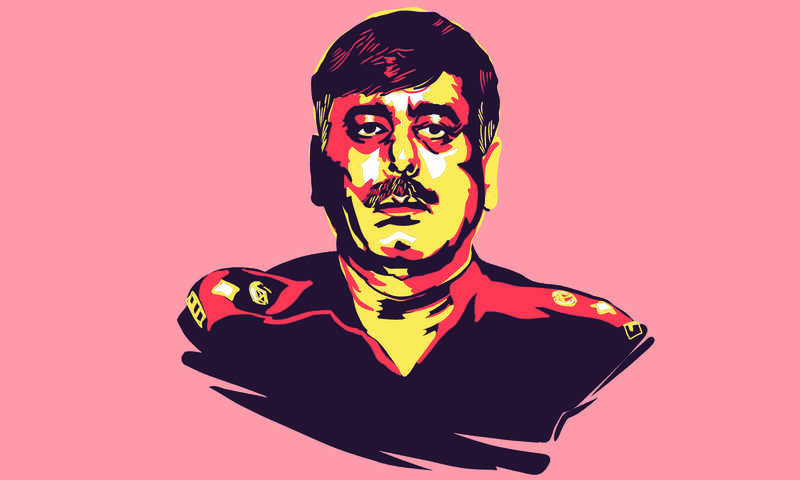 Whichever way one looks at it, former senior superintendent police (SSP) Malir, Rao Anwar, appears to be a butcher. According to a police report submitted in the Supreme Court of Pakistan, he has been accused of killing 444 people in 192 encounters between July 25, 2011 and January 19, 2018 in the Karachi district under his charge. Let that number sink in. 444. So when former president Asif Ali Zardari recently called him a “brave kid” on a private news channel, the backlash from people – already horrified at the brutal fashion in which a Waziristani youth had been killed allegedly by Anwar and his men – was anything but misplaced. Zardari later retracted his statement through his spokesperson, but the incident confirmed that Anwar has friends in high places. How else could a man responsible for killing nearly 500 people (or more), and declared an absconder by the country’s top court, still remain a fugitive — and be praised by a former president! It is not just politicians who are said to have a soft spot for Anwar. 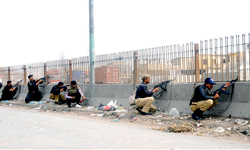 Recruited in the 1980s as an assistant sub inspector, he became known for arresting and killing a number of Muttahida Qaumi Movement (MQM) activists during a long-running security operation in Karachi between 1992 and 1999. And when the MQM came into power after the 2002 general election, Anwar got himself posted to Balochistan only to return to Karachi when the Pakistan Peoples Party assumed power in 2008. By this time, he had become even more influential. In April 2015, he made an explosive – but unsubstantiated – revelation in a fiery press conference against the MQM and its chief, Altaf Hussain, who, the police official said, was working on India’s behest to destroy Pakistan. The refrain sounded familiar. The army had made the same accusation back in the 1990s — when Hussain and his men were accused of carving out ‘Jinnahpur’, an autonomous state, out of Sindh. 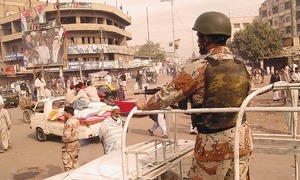 The Rangers, too, have been using the same allegations to cut the MQM’s street power down to size. Anwar has friends in very high places indeed. But even powerful friends cannot justify young Naqeebullah Mehsud’s cold-blooded murder, allegedly at the hands of Anwar and his team of trigger-happy touts. They cannot explain how a man held responsible for killing 444 people can roam free, let alone be a policeman. They cannot explain how a policeman with a salary of less than 100,000 rupees a month can make 74 trips to Dubai since being appointed SSP (though holding the rank of an SP) and that too without completing the requisite paperwork. That Anwar Ahmed is today’s reviled Rao Anwar. But he is not the one in need of being shaken from slumber. It is the courts, police and the state at large that need to wake up to the realisation that extrajudicial killings are not part of the solution. They are part of the problem. A problem that trigger happy police officials such as Rao Anwar, Abid Boxer and even Chaudhry Aslam could not solve by killing aspiring models, businessmen, Pakhtun labourers or, for that matter, those known to have links with extremist organisations. They all deserve a lawful treatment. No one should take the law into their own hands to inflict punishment on anyone. The ones responsible for upholding the law should be doing that – uphold the law – and not damage it for personal glory and the political and security imperatives of their friends in high places. It’s unbelievable the man’s still at large, either the law enforcement agencies are up to no good or he has friends in high places. Brings me to the question as to what happened to one ‘Dar’ the ex Finance Minister. Shouldn’t his ID Card and Passport be cancelled if he does not return to Pakistan within a finally set period of time. Shouldn’t persuit of justice be seen through to its conclusion? Arrest facilitator from the airport who assisted him at the airport, and Rao will be arrested at all. Who are not arresting him and not working on straight investigation line must also be arrested, and they should be dismissed from the service and exemplary punishment should be awarded to them. he has been accused of killing 444 ... He is a mass murderer and yet no one knew about him... 444 and he got by with this... Beyond reasonable, the system was sleeping and still is sleeping... whatever his motives were whosoever behind this must know... Genocide is an attempt to exterminate a people, not to alter their behavior. “ Police Encouters “ were not known in the colonial times . This write up on Rowdy Rao Anwar stops short : who let all this happen ; within the department and those in the govts. A research paper is called for which should include the flaws within the Criminal Justice System. Cold blooded murders have been encouraged and those doing it have profited from this gruesome practice .Out of turn promotions, cash rewards, commendations from the highest public office holders ! Rao Anwar was the knife and not the butcher ! Policeman knows what are the weaknesses of Policeforce and can easily dodge police. He has many supporters even in general public. Not long before the comment section used to be filled with questions as to why he is being made a victim. When the system is broken you have to take the law into your own hands. How many times killers have been caught and set free by courts. How many times people have been robbed women raped and culprits released by courts for lack of proof. Improve the system then criminals like Rao anwaer will disappear. Till that happens we will have many Rao Anwers. Rowdy is a decent name. He is a serial killer. Personally I still refuse to believe that the reason for Rao Awar's fall from grace is the result of an awakening in Sindh police, end of corruption, rise of meritocracy or triumph of justice. Nothing sir nothing like that. The man is a monster that is for sure, but the reason for his troubles is a shift in the internal politics of Sindh police. Typical modus operandi of such criminals is that they keep a number of political bosses "obliged" with illegal favors. Rao probably has enough money to last him even if he never works again a day in his life. Considering the history of law and justice in Sindh, chances of his ever being punished appropriately are slim to none. I hope I am wrong.